tilden talks...: Get Your Family "Move"-ing! We had a birthday here recently. Shawn has moved into a new decade. Colleen says he's really old now. Manda says he should grow up. I wondered what we should give him for a present. Since Shawn is the only die-hard gamer in the family, we settled on the PlayStation® Move. He likes the shoot-em up games best, but has expressed an interest in golf and other immersive and realistic games. The PlayStation®Move has a great new easy to use controller that gives a full range of motion and provides the ultimate control over how you play your favorite game. There is a good selection of games available now, with new ones popping up all the time, so Shawn should be able to play for hours. The MOVE bundle packages are priced right at only $99 and come with everything you need to get started with motion gaming on your PS3. Shawn may even invite his friends to join him, if he has grown up enough to share, that is! When I discussed this with Manda and Colleen they had a good natured argument about who would win the PlayStation®Move bowling and archery games. We asked Shawn's girl Katie what she thought. Katie said we should have a little wager, and would put her money on Colleen for archery and Manda for bowling. She also said Shawn is quite good at the shooting games. Manda and Colleen both said they would like a chance to beat him at that game! Shawn and Katie, Manda and Colleen all work so much and they don't often get a chance to spend a lot of time with each other. 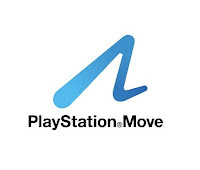 PlayStation®Move might get them to share some fun and maybe get a little exercise while they are at it! What about you? I'm going to be working on my golf game so I can play with Amoeba. You want to join us?